Justin Rose celebrates a putt at Merion. Welcome to the 2015 Golf Preview, where I’ll take a look at selected golfers and examine what to expect over the next twelve months. Today, we look at Justin Rose. 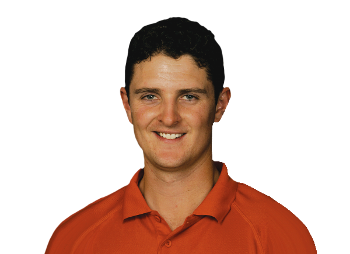 It was almost 17 years ago that the golf world first really started to pay attention to Justin Rose, when at the age of 18, he finished tied for fourth at the 1998 Open Championship after holing out on the 18th. It’s hard to think about now considering the way Rose has played in recent years, but after the Open, Rose turned pro and missed his first 21 cuts. He never broke 70 in his 42 rounds played and it didn’t get much better immediately after that run either. In 1999 and 2000, Rose played in 55 events worldwide and he posted just one top-10 finish on the European Challenge Tour, but he did finish as the runner-up in his first two events in 2001 and started to play with a little more consistency, leading to four wins in 2002. Unfortunately, Rose fell off the map again going winless for four years until taking the Australian Masters at the end of 2006. Since then, Rose’s play has remained steady with his real breakout happening in 2010, winning his first two events on the PGA Tour at the Memorial and the AT&T National. In the past for years, Rose has seemingly contended at every big tournament, coming away with wins at the BMW Championship, Doral, another one at the AT&T, the Scottish Open and most famously, his first major win at the 2013 U.S. Open. He has also been a key player for Europe in three of the last four Ryder Cups, compiling a career record of 9-3-2. After falling off of the map twice, Rose is currently listed as the sixth best player in the world. This one doesn’t go quite as far back to that 1998 Open, but it’s close. Think about it like this: When was the last time that you saw Rose with hair that was that long? Justin Rose with a ridiculous flop. Justin Rose plays one out of the gorse. These two GIFs are from the 2014 Ryder Cup and they show off how good Rose can be with his irons. Sure, he got a little fortunate that the lies were decent in both cases after some poor tee shots, but both results are ridiculous. Is there a higher ceiling for Rose? So, Rose has won at least one tournament in each of the last five years, which despite how players like Tiger and Rory have made it look, is actually really difficult to do and there’s obviously nothing wrong with being known as a guy who wins every year, plus Rose is about as consistent as they come. In the last three years, he’s played in 74 events worldwide and he’s missed just six cuts. I mentioned above that when he’s on, I’m not sure if there’s a better player in the world than him and I do believe that, but the putter is a major issue. The last time he cracked the top-60 on the PGA Tour in strokes gained was 2010. If he could somehow keep up his level of ball striking and figure some stuff out on the greens, I really think the sky is the limit for him and that he could be one of the challengers to Rory’s spot as best player in the world. He’s that good. Even if he doesn’t though, he could be doing and has done, a whole hell of a lot worse than winning a couple of times per year and crushing American dreams biennially.